Welcome to my beauty blog! I'm very excited to be starting a blog. I'm a blog lover and have always wanted one of my own. I'm totally aware of the high maintenance a blog entails, and am ready for the challenge! I'd like my first post to be about one of my favorite things. Lipstick!!! I am without a doubt a lipstick hoarder. I love them! It is less then a week before Christmas so I wanted to share some of my favorite hues for the holiday season and the ones I've been keeping within arms reach for frequent use during the fall. 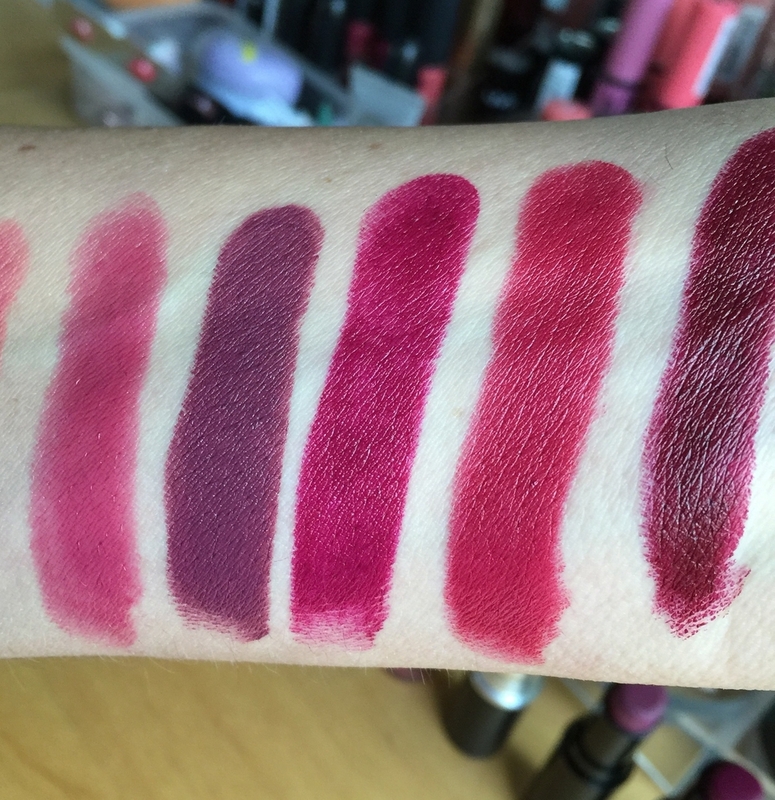 Shown from left to right are Mac creme cup, Mac Faux, Mac modesty, Mac velvet teddy, NYX Tea Rose, mac plumful, Wet and wild Ravin' Raisin, wet and wild sugarplum fairy, Hikari Cabernet, Jordana Eggplant. The first photo of the close-up swatches show the colors I find myself usually reaching for during the day. 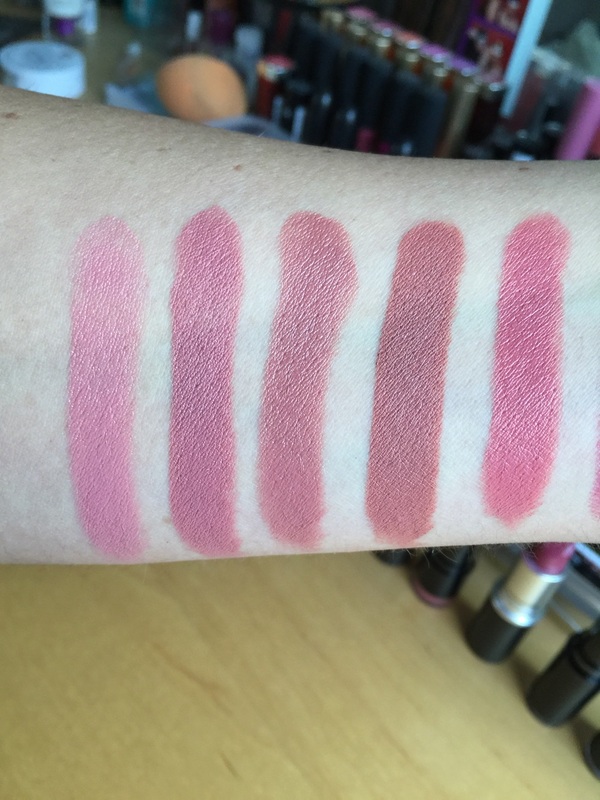 The shades shown on the second close-up photo are lipsticks swatches of colors I usually reach for during the evening with the exception of plumful. I feel you can wear this day or night! Plumful, Ravin' Raisin, SugarPlum Fairy, Cabernet, Eggplant. As you can see, I am a big fan of Mac lipsticks. Don't get me wrong, I love the more affordable lines as well. Especially Jordana and NYX lip products. I have a large amount of NYX lip products and I'm absolutely in love with them! 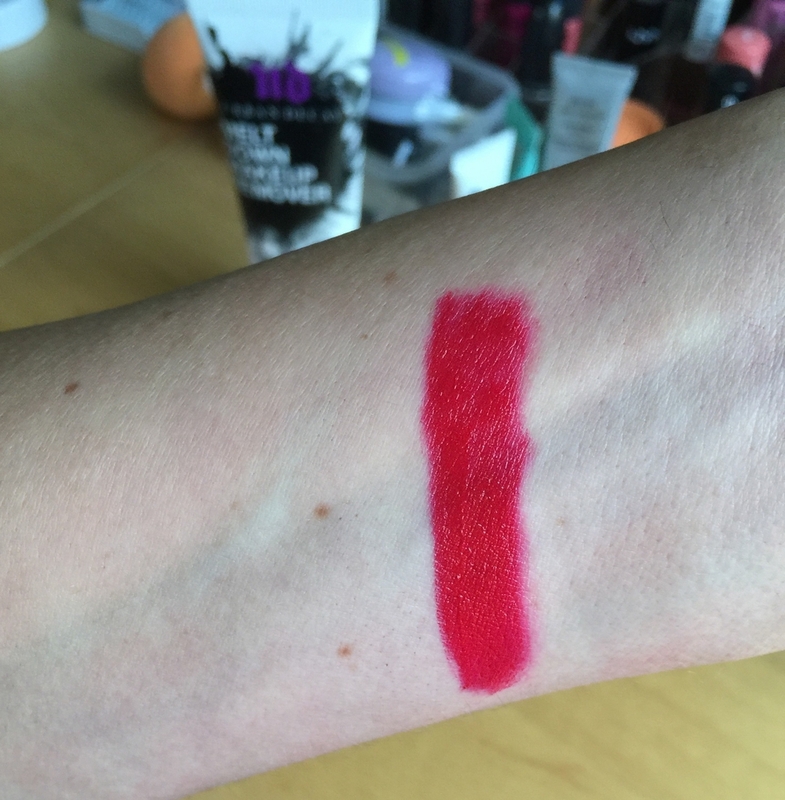 Wet and Wild sugarplum fairy has definitely been well loved by me and is a well known dupe for Mac Rebel. Jordana lipsticks are a great buy at only about two bucks a piece! Eggplant is ridiculously pigmented and smooth for the price point and so beautiful on this time of year! I purchased all of my Jordana cosmetics on the Beautyjoint website. I'd like to make an honorable mention. 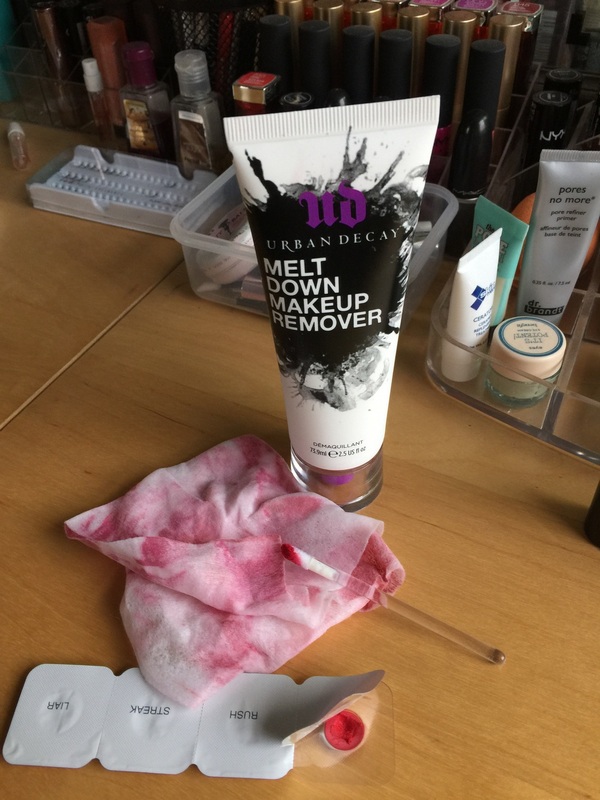 I just recently started adding some more urban decay to my collection and make up kit and had just purchased a wonderful make up remover. It is called "Meltdown Makeup Remover" and I must say it's quite impressive! I used it to clean off the swatches on my arm and everything melted off like butter! Definitely worth the buy if you wear a lot of hard to remove or waterproof makeup. It leaves skin soft and not greasy whatsoever! With my shipment of this makeup remover I also received samples of some urban decay revolution lipstick. They were all beautiful, but the one that jumped out at me the most was 69. I put this on yesterday just to wear around the house and I fell in love! 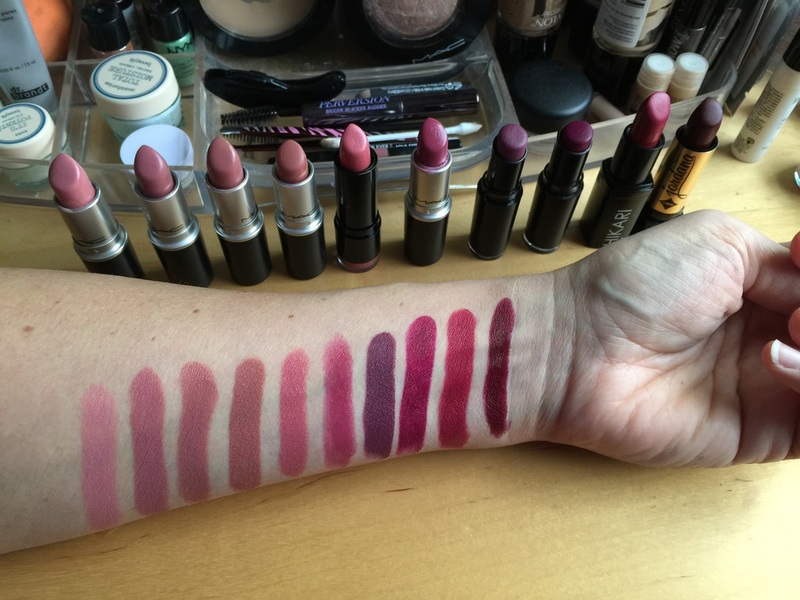 I will definitely be adding 69 and more urban decay revolution lipsticks to my collection! So, this concludes my very first blog post! (Squeals with excitement!) I know I've a lot more to learn but I'm enjoying it so far! It is my goal to post at least once a week if not more. Hope someone with the love of beauty, makeup and lipsticks enjoyed something I shared today. Much love to you all and Happy Holidays!